I would like to invite you all as Mutley's news hounds! We all have our own connections, media feeds and FS site favourites etc. so if you see any interesting or entertaining news that might interest our members then please post in this forum. In turn, I can syndicate your posts to literally millions on Twitter and Facebook! Flight sim is great! Let's share it! I could maybe share some important news I see on my french forums if they are not here already. - ideal for people who have large groups of sceneries to manage. Great news, thanks for the info, the group management is fantastic now. Kansas City International available by Tropical Sim. Many thanks indeed for the news about Scenery Config Editor! I use it a lot, as well as the TweakFS freebie (Scenery Config Toolbox, downloadable from this page: http://www.tweakfs.com/store/free_tools.php ). I'll probably pass on KMCI, though. I don't know why, but for some reason the two large lumps of land that I very rarely fly over are the USA and Australia (though I'm enjoying the pics of your trips around there). Happily, there's plenty of interesting flying available elsewhere...). You have to try Orbx's Norway — it's (to use an overworked word) awesome! Mind you, I've seen a lot of it from the cockpit IRL (in helis) so I suppose I got to love the landscape — although not the winter weather (fog and thick snow tends to interrupt low level flying). (Without the mist, though, the Norway scenery is stunning!). A2A SIMULATIONS WEEKEND SALE - 25% OFF! at 25% OFF the usual website prices! Sale ends at 4pm (UK time) on Monday 5 October"
Already picked up the P-47, I am a sucker for their aircraft and couldn't pass it up at that price. Nice...I will be adding a war bird or maybe two to my hangar. The p40 is a definite contender. jeez...like a kid in a candy store. I got the P40 with accusim, F4U (no accusim available ) , Avro Anson, and Albatros D-III. Last two because they were inexpensive, and the Avro looks like a useful twin. The Albatros looks fun as heck for 10 bucks US. Thanks JF/A2A for the sale, and Loic for the heads up! A little bird at Cosford told me that the Just Flight DH104 Dove/Devon will be out this week or next. The Avro Heritage Museum at Woodford Aerodrome is due to open in three weeks time http://avroheritagemuseum.co.uk There will be a TV feature tonight, 8th October, on BBC North West local news at 18.30 Hrs. A little outside my home territory but I am sure there are many in reasonable distance to take advantage.. I saw an aircraft take off from Blackpool today. Mega Airport Rome Fumicino available as download from Aerosoft and retailers. 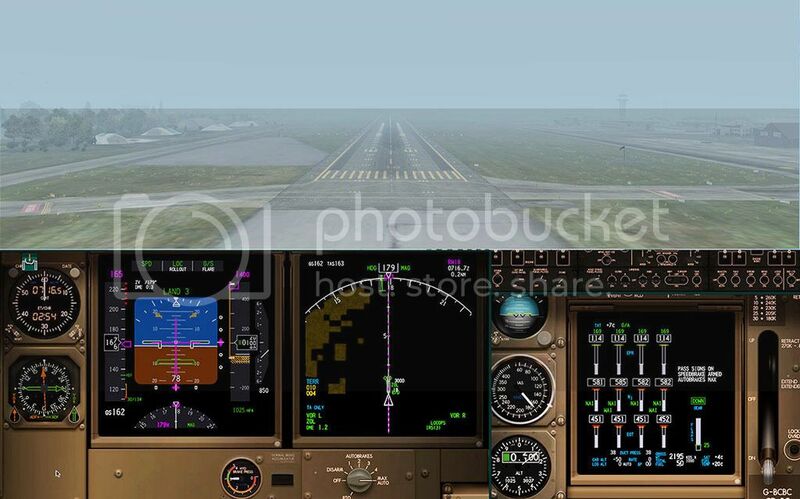 Will be also soon available by Flight Sim Store. Thanks Loic, you are keeping this post alive! OzX needs your help to stay alive ! Thanks for the heads up Loic, I made a donation, it's a great resource for the community. More than 150 products, up to 50% discount. Announcing the feelThere Halloween SuperScare event 2015. This is a limited time offer and it is valid until November 1th 2015. Great site for downloads and their contributions to the sim world and worth a donation. Thanks for the heads up Loic.